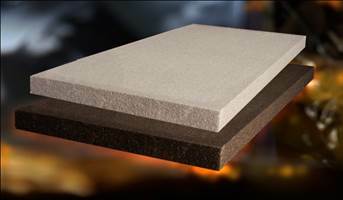 Deniz Plus-Grey Graphite-Doped Thermal Insulation Boards are expanded-polystyrene-based and are manufactured in conformity with TS EN 13163 Insulation Products – For Buildings – Factory-made Expanded Polystyrene Foams – Specifications Standard. Acquiring its colour from its graphite content, Deniz Plus-Grey reflects heat radiation and considerably enhances the insulation ability owing to this graphite content. Environment-friendly Deniz Plus-Grey insulation materials do not contain CFC, HCFC, HFC or other halogenated cell gases. These materials contain air as cell gas, which guarantees the preservation of the thermal conductivity throughout the life of the construction. Especially their resistant structure to aging effects and mould growth make Deniz Plus-Grey insulation materials a long-term, durable and reliable heat insulation solution. Deniz Plus-Black is a carbon-doped thermal insulation board. It does not contain chloro-fluorocarbon gases and their derivatives. Deniz Plus-Black is more lightweight and rigid, and also provides lower thermal conductivity in lower densities concurrently with acoustical properties. Another significant characteristic of the material is that it is easily recyclable. It is a thermal insulation board with 100% graphite-doped. It is very lightweight, easy to handle and apply. Its thickness does not wear thin over time, remains constant. It is highly water vapour permeable. 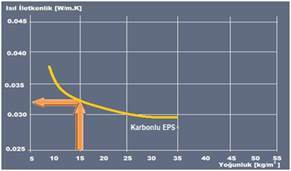 Thermal conductivity value (λ) is 0,032W/mK for 16kg/m³ density, and 0,031W/mK for 20kg/m³ density. Water vapour diffusion resistance factor: 20-40 (µ).